If you’ve ever been to Essence, you can testify to how incredible the entire weekend is. I knew I had to attend Essence Fest this year, but because of my crazy schedule I ended up waiting until last-minute to book my accommodations. The hotel prices had skyrocketed. They were easily double their normal rates. I knew there was no way I could pay those prices so I had to find a solution. That’s when I took my search to Ebates and Hotwire to book the best possible deal on my hotel. Let me explain them both to you. First there’s Ebates, an online platform offering you cash back on your purchases. They have everything from travel to clothing and makeup at popular shops like Sephora, Net-a-porter, and Macy’s. I shop at these places all the time and can’t believe how much money I could have saved! Literally thousands of dollars. Imagine I could have gotten cash back on everything from hotels, flights, shoes, lipsticks, coconut oil, you name it. Even home goods! Let me show you how to use Ebates really quickly. First you sign up via this link here. You will see Join Now in the top corner of the page. Select it. It will open a pop up with the option to sign up with Facebook, Google, or create your own log in. I selected to sign up with Facebook but choose the option that best works for you. 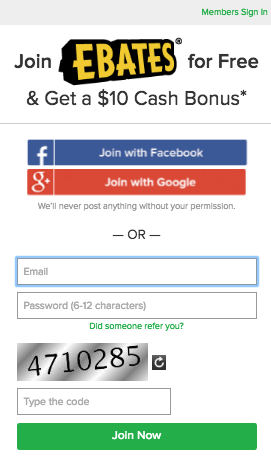 Once you have signed up by filling in all the necessary information, you can download the Ebates link to your Google Chrome browser as an “extension”. 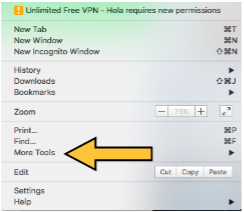 It can be downloaded to the Firefox browser but these instructions will be for Chrome. First click the three lines to the right of the search engine box. A box will pop up and you will select the option “More Tools”. Another box will pop up and you will select “Extensions”. This will bring you to a Google Chrome Window that allows you to select the browser extensions available. 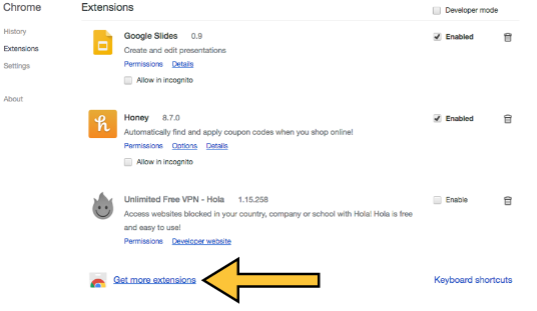 Look to the bottom of the page and click “Get More Extensions”. The next window will allow you to search the available extensions. Search “Ebates” in the text box and and click “Add to Chrome”. Select “Add Extension” on the following pop-up window to confirm that you want to add the Ebates extension to your browser. 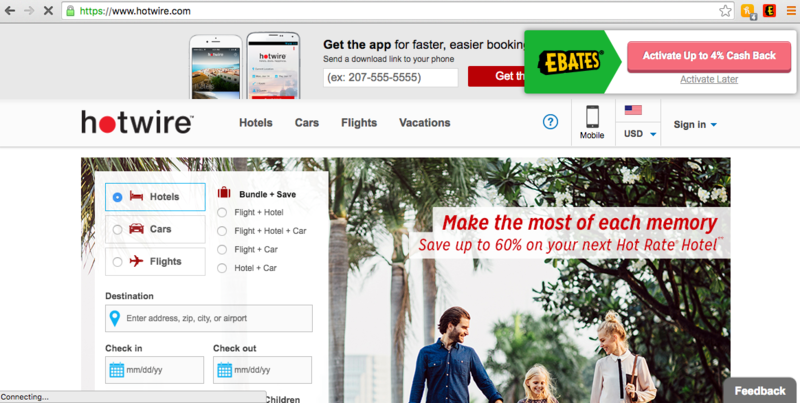 Now you are all set to use Hotwire.com to book your hotel stay while receiving cash back from Ebates! To keep this post from being obnoxiously long, click here to read a blog post with more information on how to use Hotwire.com to save extra money on your hotel. So back to my massive savings in NOLA for Essence Fest! Through Ebates and Hotwire, I was able to book my 5 nights stay at the Royal Sonesta, a 4 star boutique hotel located right in the heart of Bourbon Street and only for about $950 in total. The going rate on other hotel booking sites during Essence Fest weekend for the room I rented at the Royal Sonesta was a minimum of $1700 PLUS taxes making my total savings about $900! Again, here is the link to sign up for Ebates!!! Thank you for reading my review and let me know if you have any further questions or comments by leaving them below! I’ve tried hotwire before, but never actually went through because they don’t actually tell the hotel name . How did you go about knowing which hotel to select?